I swear it’s like Christmas everyday when holiday season rolls around. It is sooooo my favorite. Every single little thing is a gift, from the gleaming smiles of my kids, to being able to make Mom’s Homemade Applesauce, to this amazing holiday Acorn Box! I am inexplicably happy and I drive everyone insane. It’s awesome. You know, to me. Ha. I have been having a blast playing with the goodies in my holiday Acorn Box. Most people don’t know I’m a (newb) planner nerd, but after some heavy peer pressure from my amazing friends, I am officially totally obsessed. So a fresh pack of Sharpies that I can write down errrrrrthing with is just kind of amazing. 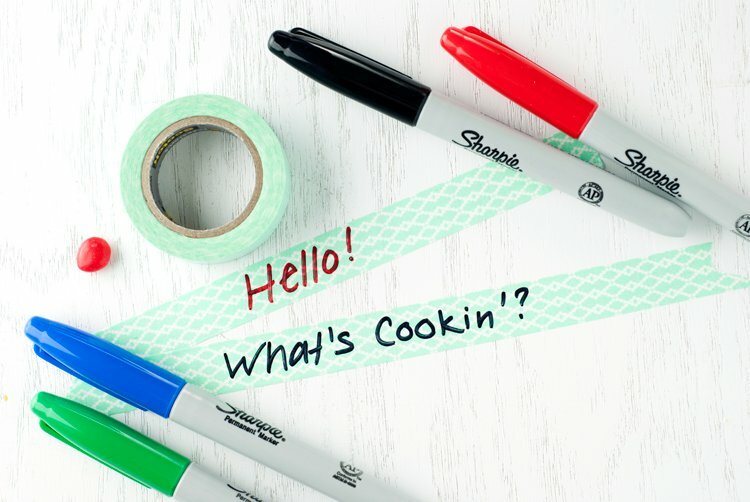 And you just know, because I’m a food blogger, I have a ton of leftovers that require labeling, so thaaaaaank you, Sharpies, for saving my sanity when it comes to organizing my fridge full of Rubbermaid Premier food storage containers. Did you know the lids click onto the bottom of each container so they don’t get lost? GENIUS. I have a drawer full of containers that have no lids, and vice versa. It is a container wasteland. So zomg do these new Rubbermaid with Easy Find Lids…they kind of make my life. Fo realz. But let’s talk about this homemade applesauce for a minute. 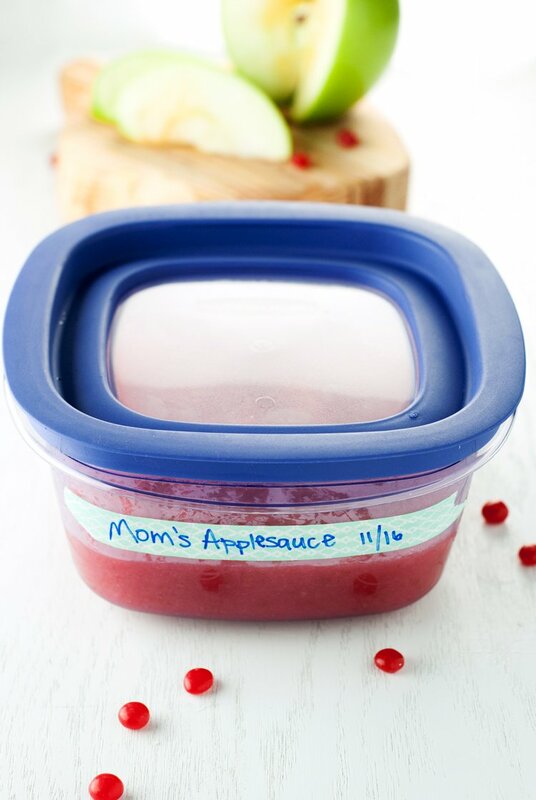 It’s based off my mom’s recipe, which is based off my grandma’s recipe, and it’s different from a lot of homemade applesauce recipes because it uses a hearty helping of red hots! 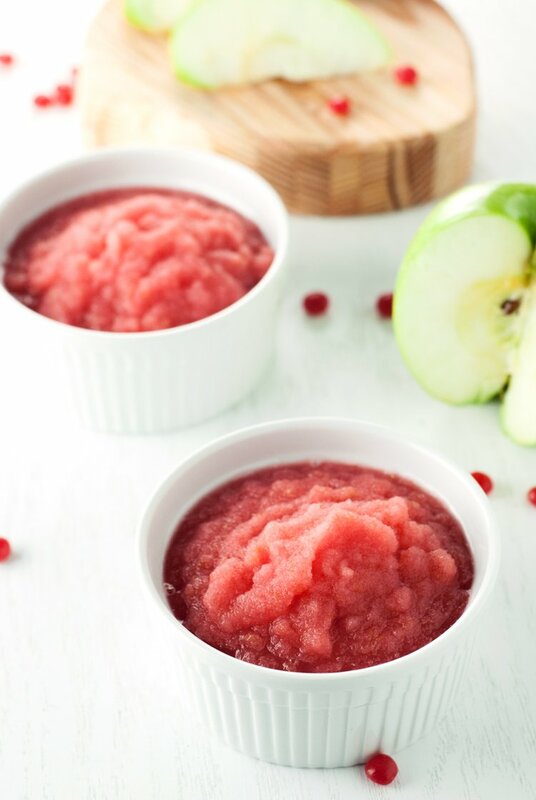 This is an applesauce you want to enjoy warm. I promise, it tastes spectacular warm. It’s the little applesauce that could. Mmhmm. 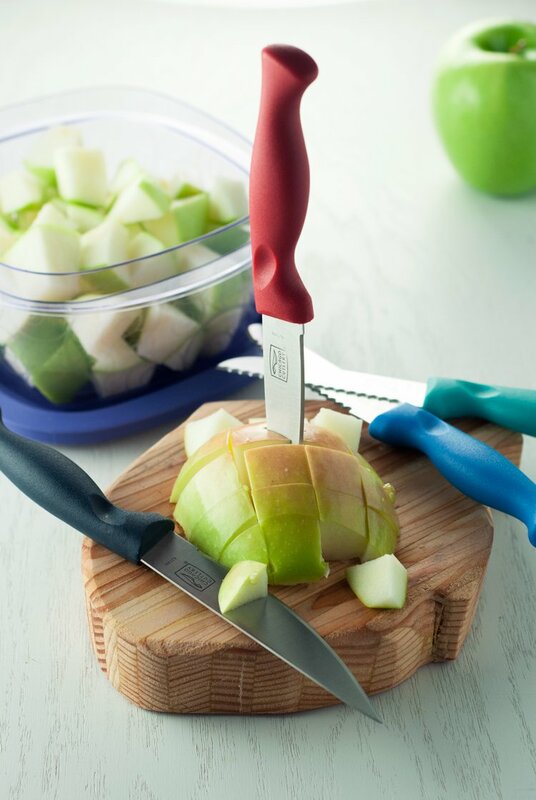 I had to chop up a big pile of apples, so I whipped out the super sharp and sleek set from Chicago Cutlery and went to town. They make all my old knives look sad, which is OK, because they totally are. I may be in love with Chicago Cutlery now. OK, I am. Totally. 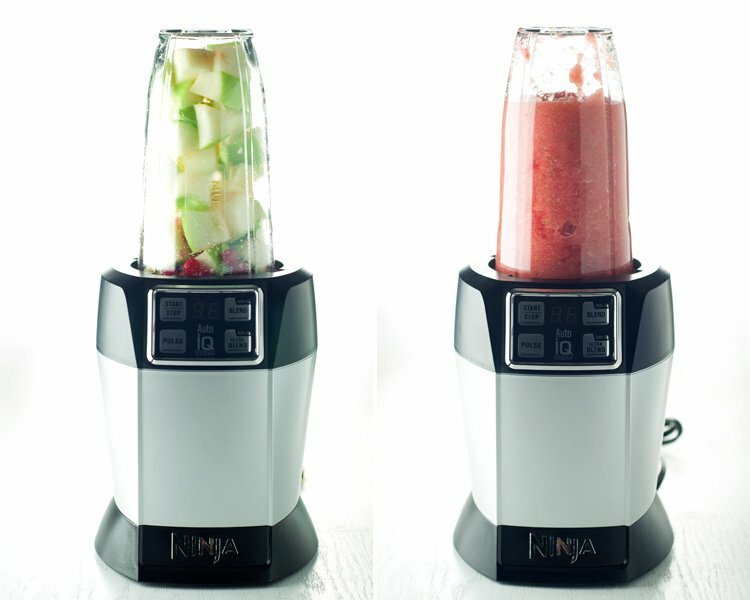 I tossed all my ingredients into the Nutri Ninja with Auto IQ and let ‘er rip and I had instant applesauce, ha ha ha! Normally I would just put it all on the stove and let it slowly simmer for a good hour and then mash it by hand, but nope, now I can take it ready in like….1/8th the time. After I’ve blended the applesauce down, I toss it in a small saucepan and heat it up for about 15 minutes and then devour. Deeeeeevour. Cause that is what homemade applesauce is for. Isn’t it purdy? I sure think so. AND! Since this recipe only took a fraction of the time to make, I got to relax extra early! HELLO AWESOME. So you know what I did? I put the kids to bed and broke out some Signature Tea Co. Organic Peppermint Herbal Tea, that’s available at Walmart, and just sat on the couch watching my shows. Did I already say HELLO AWESOME? 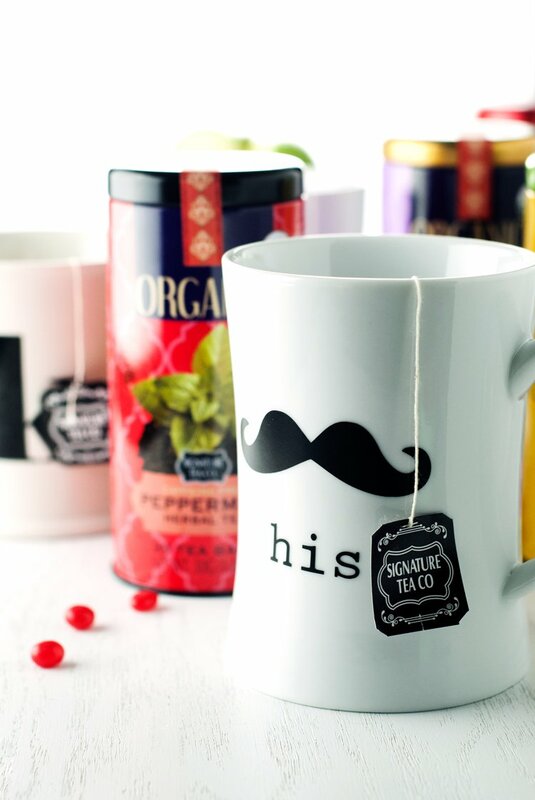 Even the hubs joined me for a cup, though he’s more into the Earl Grey like Granny. Two peas in a pod, they are, and it’s my Granny! Ha. Clearly, this holiday Acorn Box is amazeballs. I was able to use every item in a single sitting, and I’ll be using them all again and again in the future! 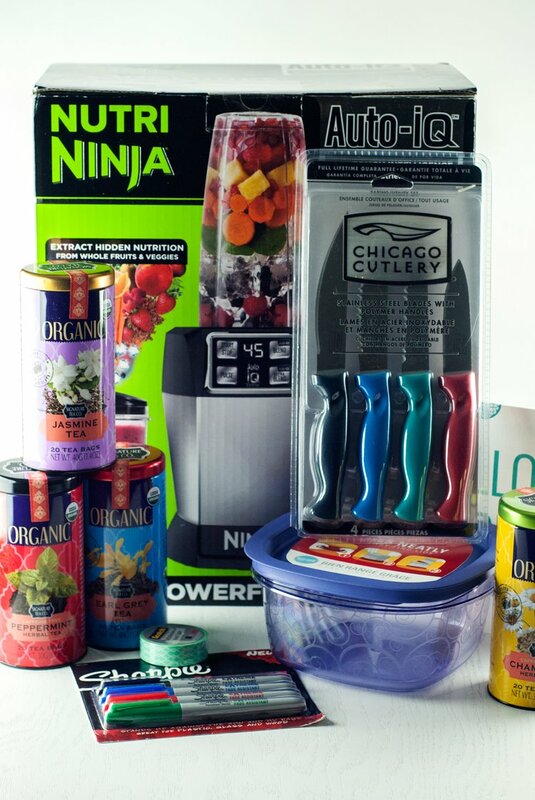 You can pick up everything from the holiday Acorn Box at Walmart, especially the Nutri Ninja, yo! Dooooo it. BUT! ZOMG. You could win this entire Acorn Box for yourself! There is a huge giveaway going on right meow, so if you want to win, you better go enter HERE! Add all ingredients to a Nutri Ninja, working in batches, until well blended, but still slightly chunky. Pour applesauce into a medium saucepan and heat over medium low for 15 minutes, stirring occasionally. 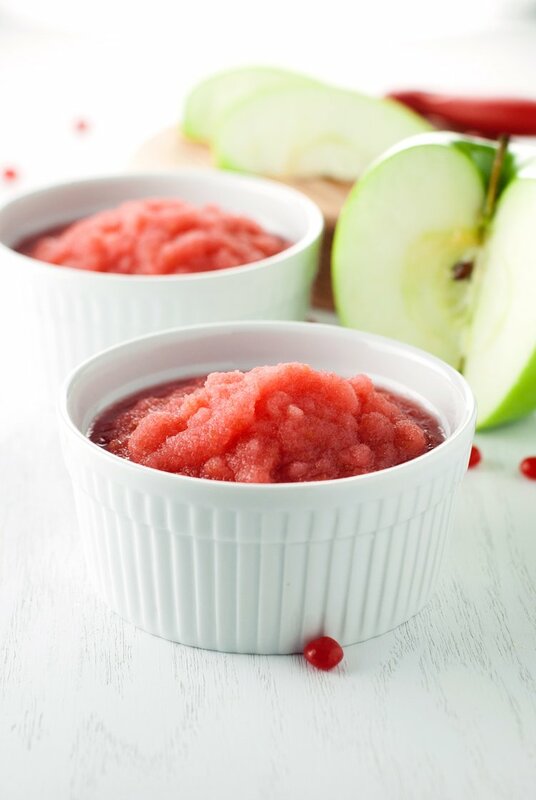 I love homemade applesauce, but I haven't tried making it in my blender yet. Must try that soon! I LOVE subscription boxes and fun things like this - Acorn looks like a good one!and homemade applesauce is THE BEST. yum. This is awesome! Homemade applesauce is the best. We're going to try making it in the Nutri Ninja now too!